What is a YouChoos immersiveDrive project? YouChoos immersiveDrive combines many of the advanced features available in Zimo decoders into one package, all pre-configured for you to simply start driving. Some of the features included are described below. In addition to these features, many immersiveDrive projects have had their underlying sounds enhanced (and improvements worked back into their Traditional-style counterpart), particularly engine/exhaust sounds, and all steam projects now include a light-engine mode via the QuickSelect feature. The combination of all these features provide a more stimulating and realistic driving experience! By default, backing off the throttle will decelerate very slowly (coasting), simulating the real thing where you must apply the brakes to slow down more quickly. Short dabs on the brake will slow down a little, and longer presses will effect hard braking, eventually to a stop. If you prefer more traditional throttle-based braking, simply decrease the value in CV#4, or even simpler, leave ACTIVE BRAKE switched on all the time! Momentum/Inertia is reduced to quarter the normal effect and the throttle range is halved to simulate driving light-engine. For steam, switches from standard chuff sounds (normally for a heavy train) to light-engine where chuffs are quieter. For hybrid locomotives, switches engine type - usually effective only at standstill. For most diesel/electric sounds, the NotchUp key will raise the base engine level to notch 1 when standing idle. Switch off to return to idle. Has no effect while in motion. Allows you to manually rev the engine up. For most diesel/electric sounds, the Coast key brings the base engine level down to idle, regardless of the current speed. Switch off to return to speed-dependent engine level. For some projects, a LowBeam key is provided which dims the forward-motion headlights. Fades all sounds out to silent until unmuted, where sounds will be faded back to their previous level. Overall volume level will be decreased / increased gradually while the VOLDOWN / VOLUP function key is switched on, eventually reaching silent or the maximum defined in the project (usually around 90%). Affects CV#266 master volume level. If you lose sound, check that you haven't simply reduced the volume to silent! Default is recommended around 65%. Linear throttle-to-speed response is not particularly realistic, so speed change is exponential as speed increases, simulating slow starts from standstill. Similarly, harder throttle requests will result in faster acceleration. This is all built-in to the project working automatically on your throttle requests. Some sounds are looping and will continue repeating until that function is switched off. Some sounds may be configured to play at random intervals, usually with reduced volume. 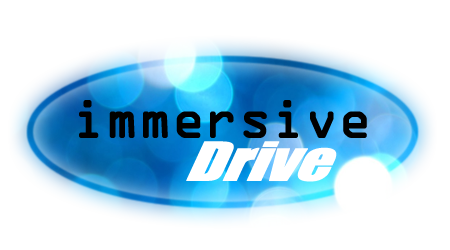 immersiveDrive projects have a new scheme for function keys, which makes them much more consistent with each other, and also with general standards that are appearing across the industry, such as braking on F2, light-engine on F5 and F27/28 for VOLDOWN/VOLUP. Of course these can all still be changed to suit your own personal preferences!